Disclosure: I received a copy of these books in exchange for my honest review. All thoughts and opinions are my own. I love innovative Bibles. I admire the way Bibles are made to capture the imagination of a child and keep them interested. 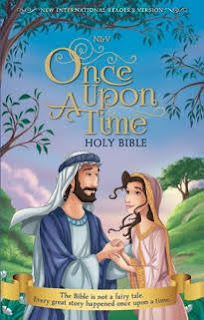 I was a bit skeptical about a Bible named the "Once Upon A Time Holy Bible" because I'm not one who wants anyone to think the Bible is a fairy tale. So when I received my copy, the first thing I noticed was the tag at the bottom. It says, "The Bible is not a fairy tale. Every great story happened once upon a time." 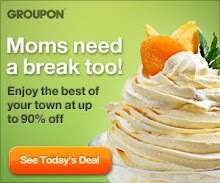 Suddenly, I was more interested in peeking inside. Wow! The illustrations are beautiful! And--get this--it's a Bible. A real, live NIrV edition of the Bible. But various stories have been encapsulated into a picture book quality story. 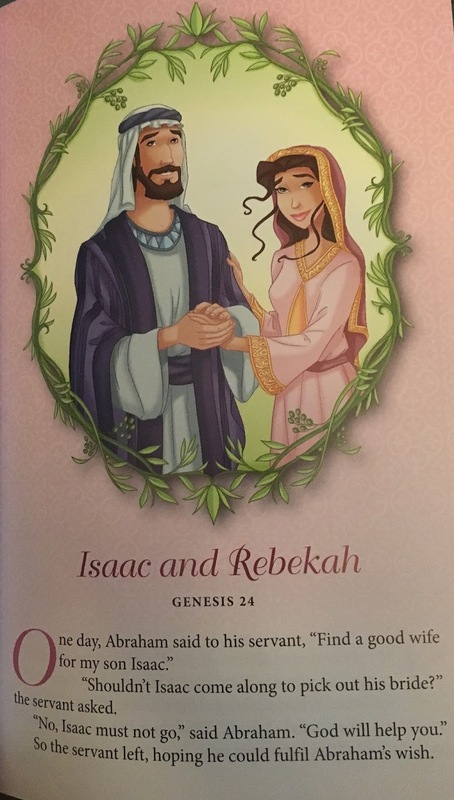 Check out this page about Isaac and Rebekah. One of my favorite stories--since my daughter's name is Rebekah (like the Bible, with a KAH instead of a CCA). The illustrations rival any princess story you may have seen from Disney or anyone else. The story is written to engage while still presenting the Biblical truth. These stories are interspersed throughout both he Old and New Testament. I was happy to learn that this Bible is available where books are sold. In addition, I also received the Once Upon A Time Storybook Bible (with the same great tagline at the bottom). 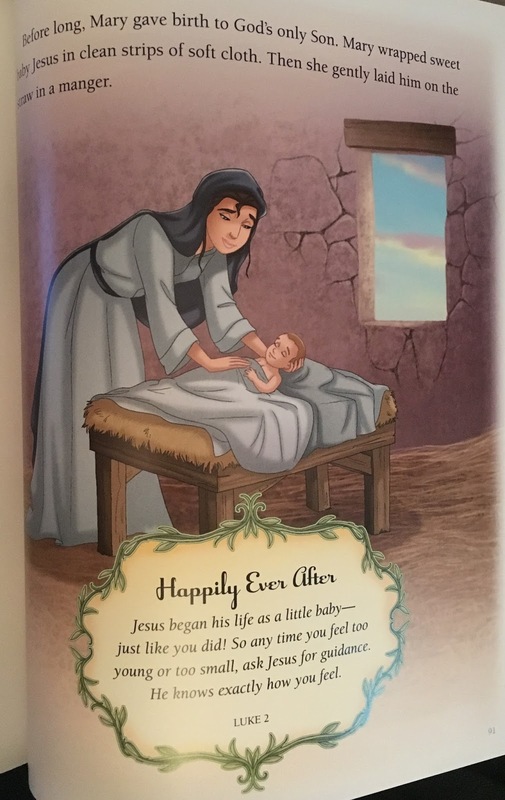 But since this is written in a storybook format, each Biblical story starts out "Once Upon A Time..." and ends with "Happily Ever After." These stories are not only captivating in their words, but also in the illustrations. Look at the picture below to see how beautiful the illustrations are. 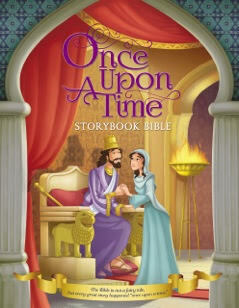 This Storybook Bible is available at Sam's Club or wherever books are sold. • With the popularity of fairy tales and Disney animation, and especially with the new release of Disney’s live action Beauty and the Beast on March 17, Zonderkidz wanted to publish a storybook Bible and full -text Bible (Holy Bible offered in hardcover, and pink leathersoft editions) that would resonate with children and families who loved those types of movies, and loved reading a great story. • Zonderkidz wanted to capture fans of this genre, but introduce young children to the word of God, and introduce them to the great characters of the Bible. It’s important to note that this brand serves to resound the theme that the Bible is NOT a fairy tale, but every great Bible story happened once upon a time. The Bible is the ultimate Happily Ever After story! • What Christian parent doesn’t want to tie in Bible learning fun with what their kids already love, but also have the opportunity to teach them that the real heroes and stories of our faith come straight from God’s Word. If you are looking for a wonderful new addition to your storybooks or a new Bible to engage your child, I recommend the Once Upon A Time Holy BIble and the Once Upon A Time Storybook Bible.